Proposals to crack down on “overpriced” service charges and “unfair” costs paid by renters and leaseholders in England have been unveiled by the government. Sajid Javid, the communities secretary, said ministers were considering changing the law to create a fairer property management system and make it easier to outlaw “rogue” letting and management agents. The planned crackdown is the latest series of measures relating to tenants and leaseholders. In July the government proposed a complete ban on the sale of newly-built houses as leasehold in England, alongside restrictions on ground rents that could limit them to as low as zero. And in late 2016 ministers announced proposals to ban letting fees for tenants. Now the government has service charges in its sights. These are the fees most leaseholders pay to cover their share of the cost of maintaining their building. According to official data, there are around 4.3m leasehold properties in England, and in 2014, total annual service charges were estimated at between £2.5bn and £3.5bn. Meanwhile, there are 4.5 million tenants in the rental sector, some of whom were being hit with “overcharged costs for repairs and services,” said the Department for Communities and Local Government. Service charges are frequently the subject of controversy: in September, the Guardian reported on the case of a woman who has seen the annual service charge on her London flat increase from about £500 to more than £7,600. She claimed the £640 a month she had been asked to pay for her three-bedroom flat above a shop in Brixton was “extortionate”. 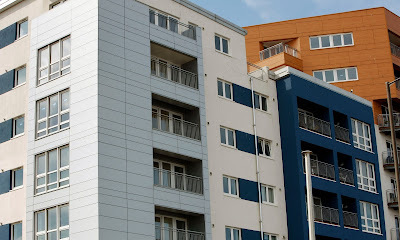 The DCLG said anecdotal evidence of poor management included a group of leaseholders charged 10 times the market rate to have a new fire escape fitted, with the £30,000 contract handed to the freeholder’s brother; one landlord charged £500 by his agent for repairing a shower door; and a London-based property agent who tried to charge a leaseholder almost £5,000 to transfer ownership of a parking space to other leaseholders. The DCLG quoted research published by consumer organisation Which? in 2011. This claimed that leaseholders were “losing out to the tune of £700m a year because of excessive fees and hidden costs contained within their service charges”. It added that others such as the all-party parliamentary group on leasehold believed that the total could be as much as £1.4bn. • ways to place more power in the hands of consumers by giving leaseholders more say over their agent. It will ask if a new independent regulatory body is needed. While the sector is partly self-regulated through professional bodies such as Arma (the Association of Residential Managing Agents) and Arla Propertymark, other property agents operate outside of any system and can provide a poor deal for consumers, said DCLG. Measures to be considered as part of the call for evidence include looking at how transparency can be increased in the system, “so that tenants and leaseholders know what they are being charged for and why”.